The Verge reported, as fans of “Stranger Things” already know, that Netflix has created its own after-show to go along with the series. The after-show is called “Beyond Stranger Things” and is hosted by actor Jim Rash. The seven-episode series dropped along with “Stranger Things” on October 27, 2017. 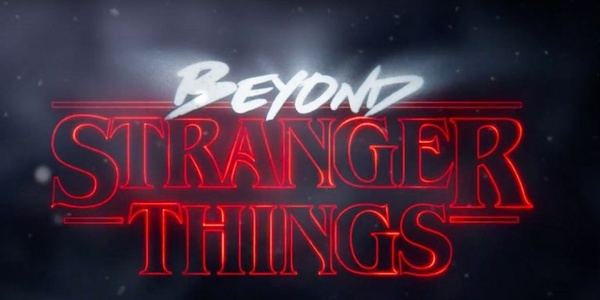 “Beyond Stranger Things” contains analysis of the episodes of the main series, along with interviews and round-table discussions with the cast and crew. Netflix suggests waiting to watch “Beyond Stranger Things” until after seeing the entire second season of “Stranger Things” in order to avoid spoilers. The live streaming service has a similar after-show for the first season, but it was uploaded to YouTube and not the Netflix platform. One of the virtues of after-shows is that they are relatively cheap to produce, since they are taped inside a studio and involve people talking, along with behind-the-scenes clips from the show being discussed. They also provide a vehicle to keep the fans engaged in the series by letting them take a peek behind the curtain and letting them in on more information about the development of the show. Rolling Stone has a piece about some of the background details of “Stranger Things” that were revealed on the after-show. For instance, the alternate dimension know as the “Upside Down” was first known as “the Nether.” However, the potential for double entendre references to “the Nether Regions” persuaded the Duffer brothers, the show’s creators, to accept the now familiar name of the scary, monster-filled universe. Some of the actors had to go above and beyond during certain scenes. Two of the characters, Eleven and Mike, were called on to have onscreen kisses, something that made them nervous. The applause from the other actors when the smooch between Mike and Eleven happened did not help matters. Also, a scene in which Eleven gets angry and has a psychokinetic meltdown, with windows being shattered and slamming doors, was not done with CGI, but rather with practical effects. While the actor playing Hopper, the police chief with whom Eleven was annoyed, was standing in a place to minimize his chances of being cut by flying glass, the danger he was in was real.